Using Font Awesome is a great transition into looking at the front end framework Bootstrap, which uses Font Awesome extensively. 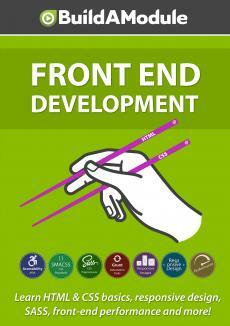 Front end frameworks have a lot of advantages, but many front end developers shy away from using them. In this video we outline the benefits and disadvantages of using a framework like Bootstrap. Now we haven't talked about frameworks but there's a lot in common between Bootstrap and Font Awesome in terms of implementation. The idea behind both of them is that we should be able to add classes to our HTML in order to quickly style that HTML in a predictable, consistent way. So for example here are some buttons, and they look pretty good. The markup for this button would look like this. There's an A tag and we're going to add a couple of classes, one button and then button dash danger, and then within the button we would use an empty tag here, in this case it's using the I or italic tag simply because it's short, and we're adding a class FA in order to bring in the Font Awesome base, the class for the icon itself, FA trash O, and then a class to re-size that icon, FA dash LG. And then here's the text delete and the ending tag. Now there are a lot of benefits to this approach, and at some point you're likely going to evaluate Bootstrap as a possible solution to one of your projects. So here's the short version of the pros and cons of doing that, and the same pros and cons applied to using Font Awesome in its entirety. The benefits are that there's a lot you can do in HTML proper, just by adding existing classes. This usually means quicker prototyping, because you can build some pretty amazing components with just a few CSS classes. As we know from working without a framework like this it can take a while to get the CSS just right. Another benefit is consistency. So as you can see with all of these components here there's consistency on a lot of levels. The same colors are being used, the color palette matches pretty well, even with the different colors. The icons are consistent, the borders, the margin between items, there's a lot of work that's been done into making these components consistent and fairly easy to use. And also frankly attractive. So those are all the pros, and so here are the cons. The first is that we get a lot of CSS that we don't need in our project.